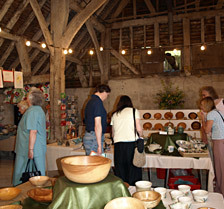 Is a picturesque village noted for its thatched cottages, it is also home to Amberley Working Museum. 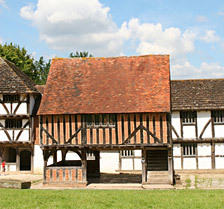 Amberley Pottery and Amberley Castle (now a hotel) are close to the Norman village church. 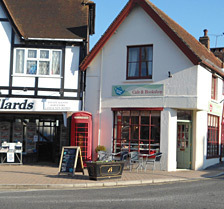 There are a couple of good pubs in Amberley and a tea rooms. Arundel Castle (see picture above) sits high on a hill above the River Arun, it dates back to the 11th century and is the seat of The Duke of Norfolk. The town also has a stunning Catholic cathedral famous for its Great Rose Window. Arundel has a number of lovely, little, independent restaurants and a Pizza Express. There is a good riding stables at Arundel. At Wisborough Green is a great day out for children from 2yrs – 10yrs with some farm animals and lots of rides and activities both indoors and outside. 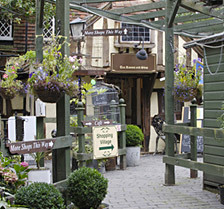 Horsham is an historic market town, with branches of many popular high street shops, the Carfax café area and interesting Horsham Museum which exhibits a Celtic dress brooch found on Sullington Manor Farm. The main shopping area of Horsham is quite flat and there is a small covered shopping centre/mall. 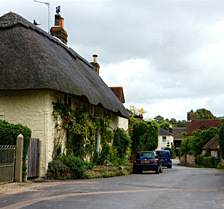 Pretty village with good pub, The Rising Sun, and vineyard open to visitors. Also Dyke Farm Shop.. Originally built to serve Petworth House, and the extensive deer park, it is now a beautiful country town well known for its antique shops. There are also some excellent restaurants, a charming coffee shop and some very smart clothes shops. Is our nearest railway station with direct services to London and Bognor Regis/Portsmouth. Pulborough wildbrooks is an area of wetlands, designated as a Site of Special Scientific Interest with many lovely walks and wildlife.Pulborough Brooks (RSPB) nature reserve is off the A283 just before you reach Pulborough. Situated within the Wyevale Garden Centre at Pulborough. is a 90 acre (36 ha) country park created from a former brickworks, offering outdoor activities including lakeside walks, an adventure-style play area, orienteering and various water sports. The park also includes ‘The Quarry’ which is a beautiful wildlife area that supports conservation and wildlife including. There is a visitor centre offering information, toilets, café and play area. Last but not least! 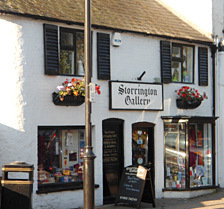 Storrington is a small town with several independent shops, restaurants, pubs and tea rooms. Parham House and Gardens is a truly beautiful Elizabethan manor with fantastic walled gardens (including a wendy house built into the brickwork in the north-west corner) This fine house boasts rare collections of paintings, furniture, glorious views of the Downs and a good café – it is well worth a visit.